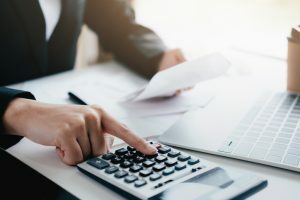 When choosing how to manage a 401(k) plan, the employer has two primary choices: bundled plan management services, or they can choose to utilize services from an independent Third-Party Administrator (TPA). For some employers, especially those who are initiating a smaller plan, bundling services may seem like a better option because of its “one-stop shop” nature. However, what bundled services lack and an independent TPA offers are plan individualization, proactive plan monitoring, individual consulting services, and a dedicated plan administrator. Typically, bundled services provide two or more of the primary plan management services: Plan Administration, Recordkeeping and Mutual Fund Selection. In most bundled arrangements, you will be charged a single fee by the provider for all services. This allows each provider to be held accountable for their duties, while also allowing the employer to build an individualized team of trusted professionals. Why Utilize an Independent TPA? Employers who choose to work with an independent TPA receive dedicated attention for all aspects of their plan administration and design. A TPA uses their expertise to help maximize plan opportunities while also helping employers minimize administration obligations and liability. Depending on the goals of the employer, the TPA will work with the company to integrate various techniques to allow maximum plan utilization options for employers, for example, a cash balance plan. With bundled services, you get a one-size-fits-all, generalized approach that won’t adapt as well to your business’s changing needs or goals. A TPA will provide plan sponsors with administration services that keep their plan on track and ahead of the game when it comes to compliance testing, discrimination testing, applicable government form filings, contribution calculations, and annual valuations. The completion of these services aids the TPA in the ability to closely monitor the qualified status of the plan and anticipate potential changes that could be necessary. TPAs can also provide services to assist with DOL, IRS, and PBGC audits and may also provide expert testimony for plan arbitrations. Rather than using generic bundled services for your retirement plan, contact Dunbar, Bender & Zapf today to learn more about how we can provide you with unique, customized plan services to help you reach your retirement plan goals!